With my favourite time of the local fashion year fast approaching, I thought it would be interesting to ask two of our native design stars about their own Malta Fashion Week experiences and what we can expect from their very different shows. Their answers are just a small taste of what goes into making a collection and what audiences can look forward to on this year’s catwalks. 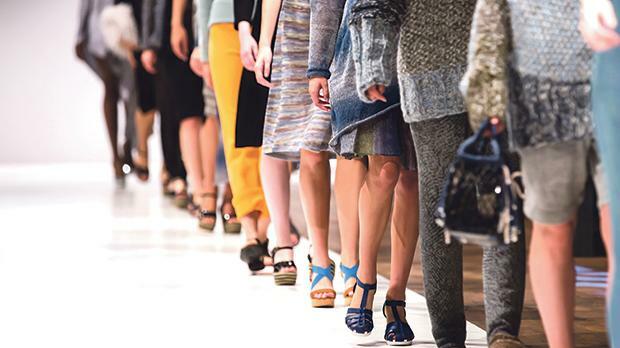 This is your fifth fashion week; how do you feel you have evolved and changed? I debuted my first collection at Malta Fashion Week in 2014. When I started, I focused mostly on slogan t-shirts for men. Since then, I have built a brand that produces everything from jackets and dresses to handbags and accessories. I also have designs which use sustainable and recycled materials. My confidence has grown with each collection and I feel that my work reflects that. How do you usually feel the night before your show? The night before the show I’m usually both nervous and excited. I don’t think that is something that will ever go away no matter how happy you are with your collection. I am also always hopeful that all will go well and that people will love the show. It’s gratifying when people understand and appreciate your aesthetic. Can you give us a little taster of what we will be seeing on 27th May. In this collection, I have used certain techniques from my past work, but experimented with them by using them in different forms and fabrics. I have also introduced a new colour palette that might come to a surprise to some Parascandalo clients and fans. I think it’s important to always try and evolve within one’s aesthetic. What is the thing you love most about Malta Fashion Week? Although the last month is probably the most overwhelming, I actually look forward to that ‘stress’ and hoping that everything comes together at the last minute. I always feel like I’m being challenged in that last month, with things being delayed or maybe final pieces needing to be re-done, but I also enjoy having to think on my feet and problem-solving... it creates that extra bit of excitement once everything falls into place. Being part of this event creates such a buzz around the local design scene and I love how it’s formed this small community of local talent. What stages do you go through when preparing for show day? Preparing for show day is the best part of the entire experience. Once models are confirmed I start to organize their looks by printing out model cards for me to familiarize myself with all the girls and their measurements. We set up a couple of fittings to make sure our range plan makes sense and test out our hair and makeup looks so that everyone is in control of their own section on the day. Once all is set, it’s time to steam and bag all the looks and organize them in a running order. I always like to invite a couple of friends to the studio as I’m getting organized, just to get an outsider’s point of view. You never know what you might be missing! What are your main inspirations for this year’s show? This summer is all about a journey from Southern European islands to the tropical Caribbean. I had collected a few photographs during my summer travels which were transformed into a series of watercolour paintings. I wanted this collection to evoke the playful feeling that is so natural to us when we travel and almost lets you be a more carefree version of yourself. I highlighted this with the use of more linear prints that created juxtaposition against my more organic shapes. This definitely feels like our most experimental print collection and also the most exciting to launch!